While I know we are already in 2014, it is not too late to buy a 2014 diary. 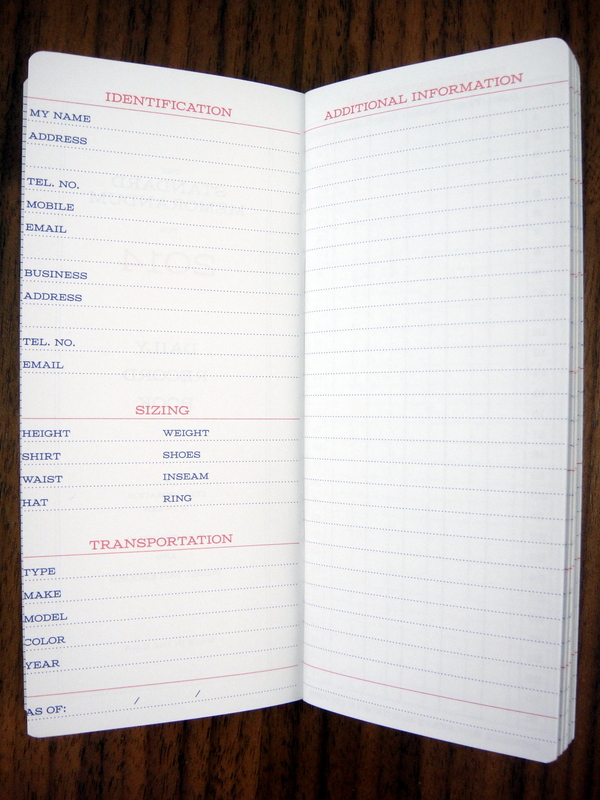 The Standard Memorandum Notebook produced by Word. Notebooks is a bit of a curiosity. 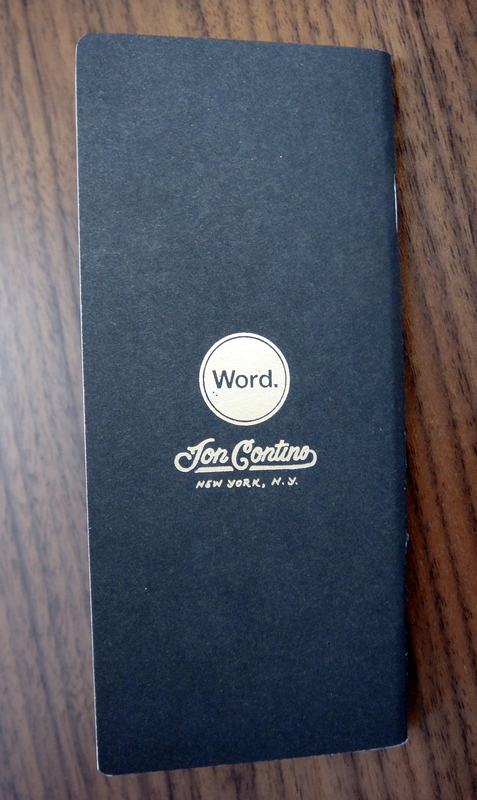 Designed by illustrator, Jon Contino, to resemble pocket journals form the early 1900’s, The Standard Memorandum Notebook only gives you a few lines per day. When I received the notebook in the mail I was surprised by how tiny it is; at 2.35″ wide x 5.25″ long it will easily fit into your pocket. 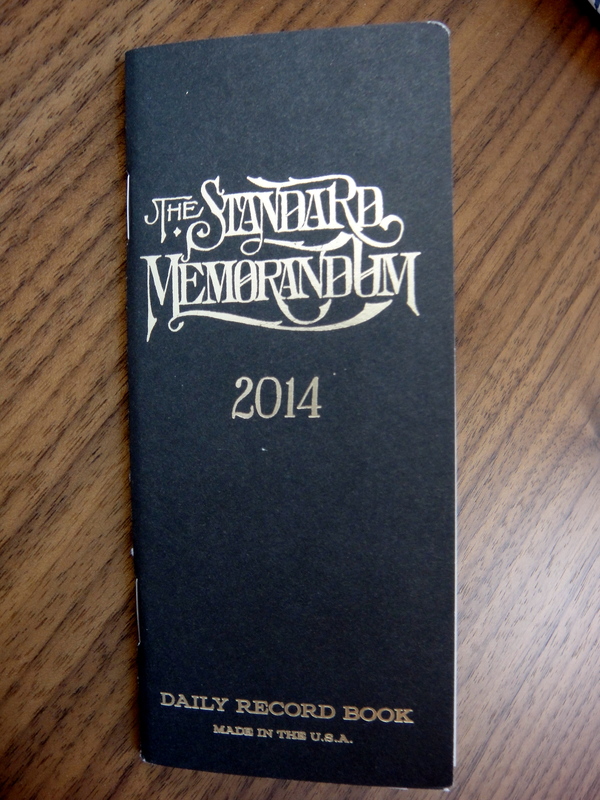 The black cover features gold lettering with an interesting Jon Contino drawn script that reads “THE STANDARD MEMORANDUM 2014”. 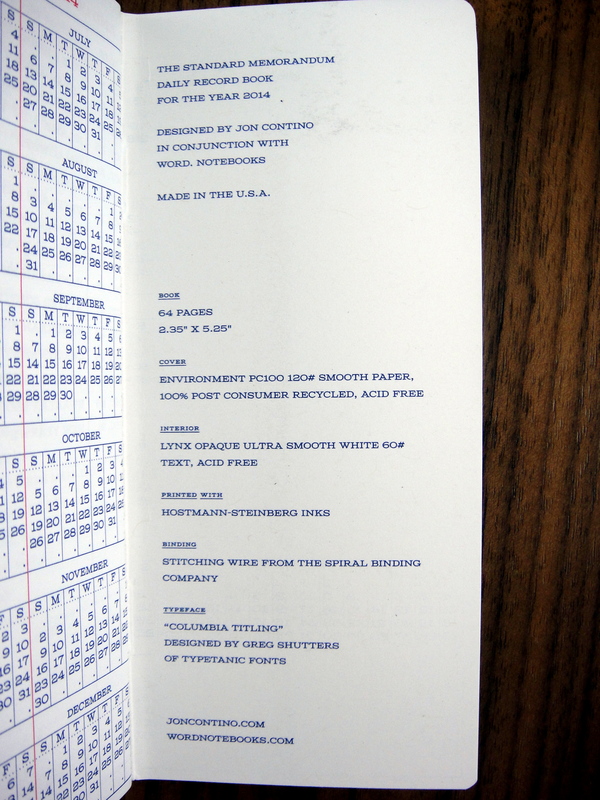 The rest of the notebook features Columbia Titling typeface. 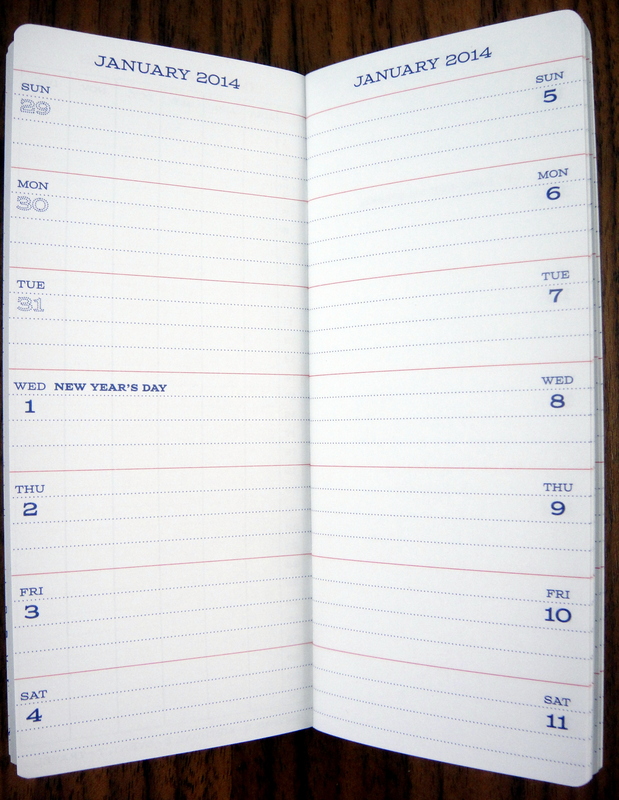 The notebook contains 64 pages and is bound with two staples. This notebook does not lie flat nor does it close well. Because the pages are skinny there is not enough weight to close the book so it stays open at a 45 degree angle in the middle of the book. Each page contains 7 days, such that you get 14 days on a 2 page spread. Up front you get a place for your personal details (can’t say I have seen a diary with a place for sizing and transportation info before). 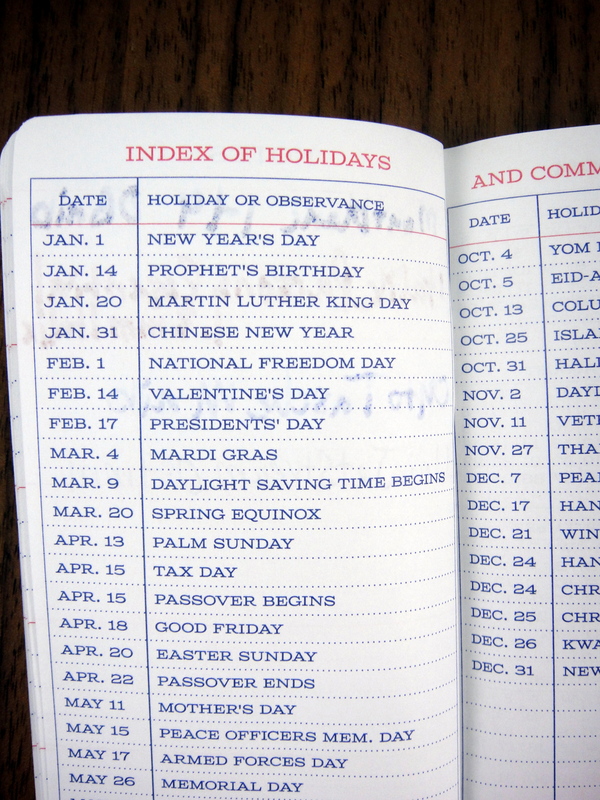 Also up front is an index with a cell for each day of the year so that you can mark important events. The paper is smooth but not fountain pen friendly. I found a good amount of bleed and feathering with fountain pen ink. I love seeing all of the manufacturing details listed. Glad that this is becoming a more common practice. I have been using the notebook for a week now and at the end of each day I write down the day’s highlights. Trying to get your whole day into 3 or 4 lines is surprising fun; it forces you to cut out the unimportant details. 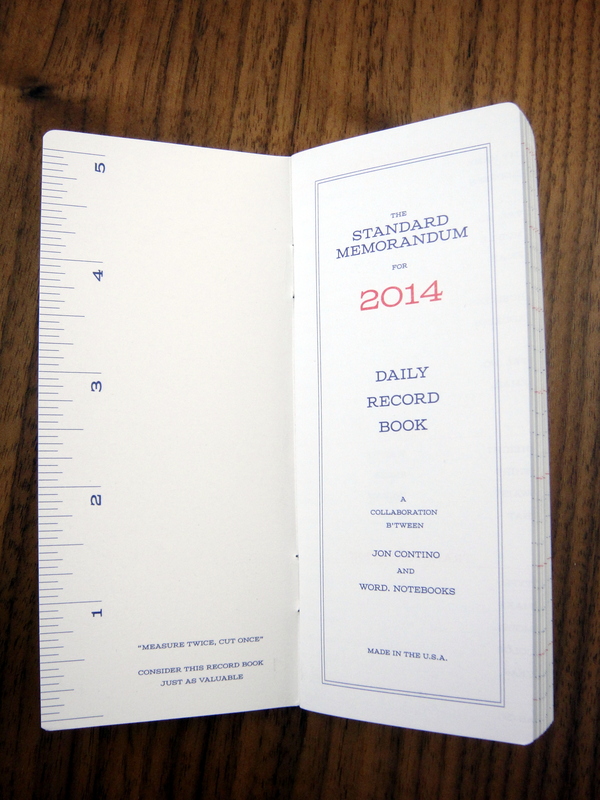 While I still use a regular full size journal, I am finding that the The Standard Memorandum is easier to keep up with every day and in that sense it’s pretty valuable. 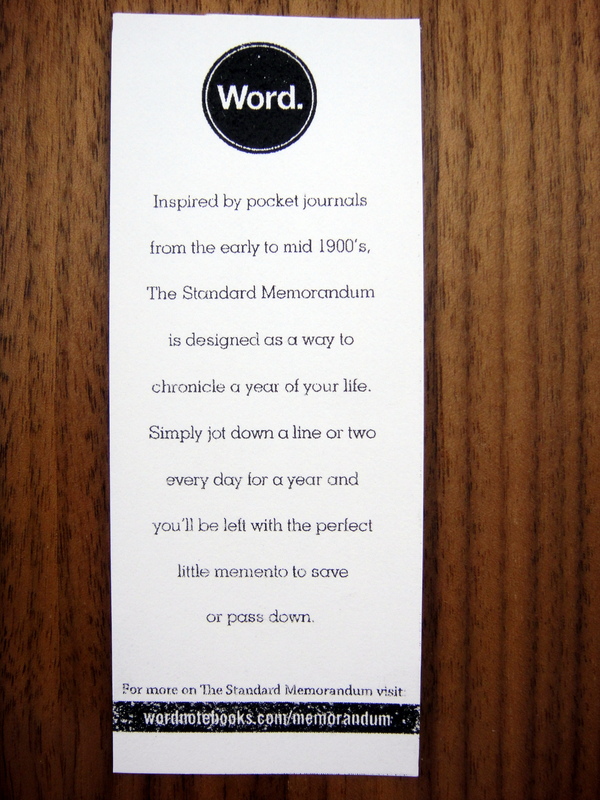 The Standard Memorandum Notebook can be purchased for $11.00 here. You can also purchase a leather cover for $45 which can be monogrammed. Please note: this product was provided to me at no charge by Word. Notebooks for review purposes. Inktronics – The Standard Memorandum. Does It Compare to the Real Thing? nice review. 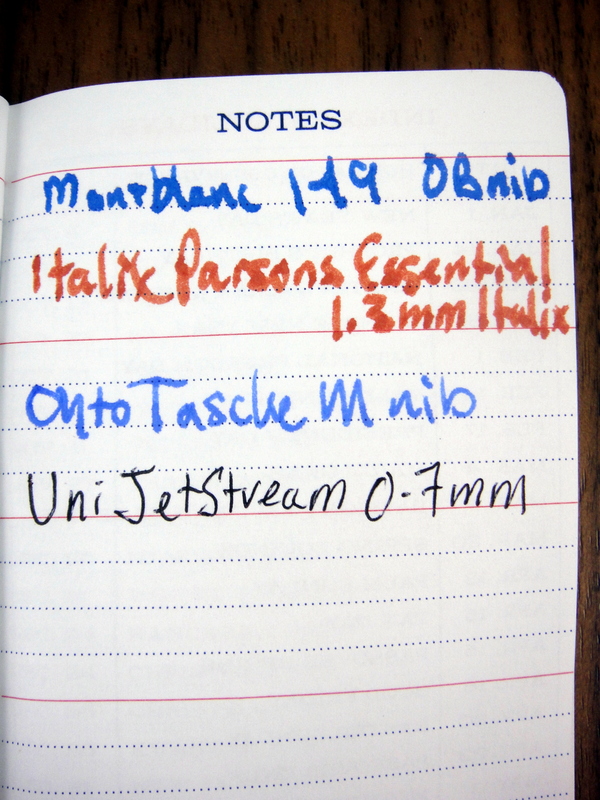 but it looks no good for fountain pens – maybe ok for gel pens, ballpens. I was disappointed to find that Scoutbooks are no good either. So far only banditapple carnets in the 3.5×5 is the only winner for me. 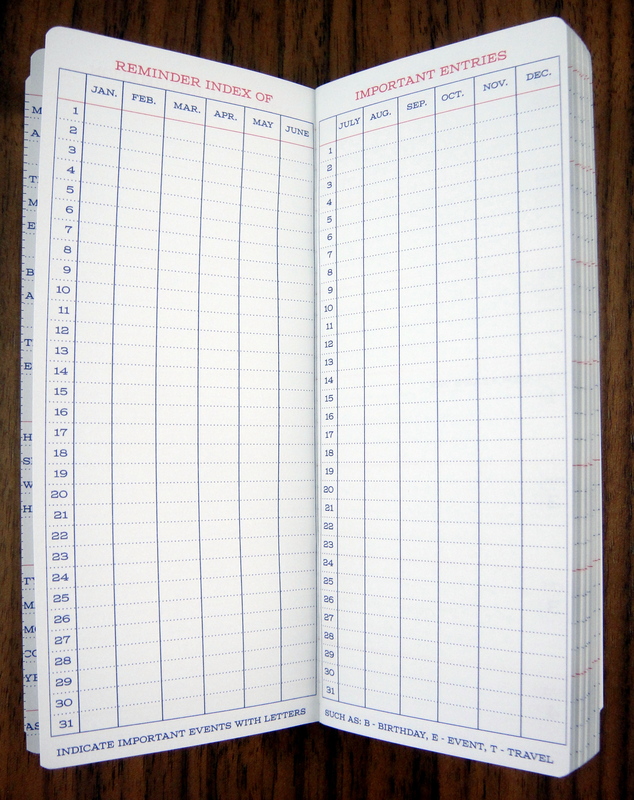 We should get Jay Potter to step in and start producing 3.5×5″ notebooks using TomoeRiver. Thank you for the comment! Yes you are right that it is a no-go for fountain pens. I use my Copic Multiliner with it. I too really like Banditapple notebooks. I think a 3.5″x5″ TomoeRiver paper notebook would be amazing.